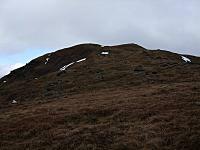 The N slopes of Creag Uchdag rise gently from the shores of Loch Tay to the summit of Meall nan Oighreag (823m). From here a broad ridge runs S to Creag Uchdag were it turns SE and descends to Creag Tharsuinn overlooking InverGeldie in Glen Lednock. The SW slopes fall steeply to the Loch Lednock Reservoir. An ascent is possible from the N on easy slopes or from the S on more complex terrain. There are many steep and or craggy slopes so careful navigation is required. 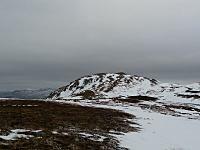 Creag Uchdag on the left, in front of snow-speckled Beinn Heasgarnich; Meall nan Tarmachan on the right. 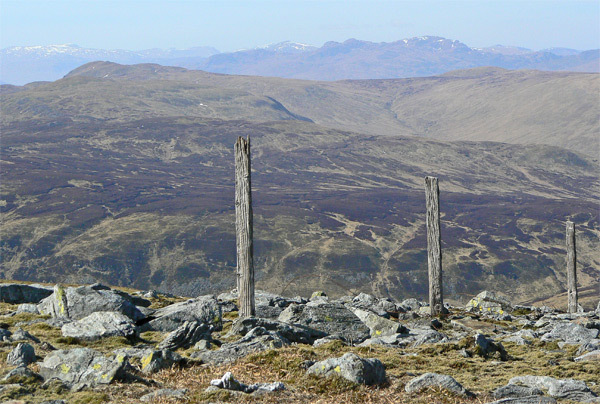 From Ben Chonzie; 3rd April 2007. 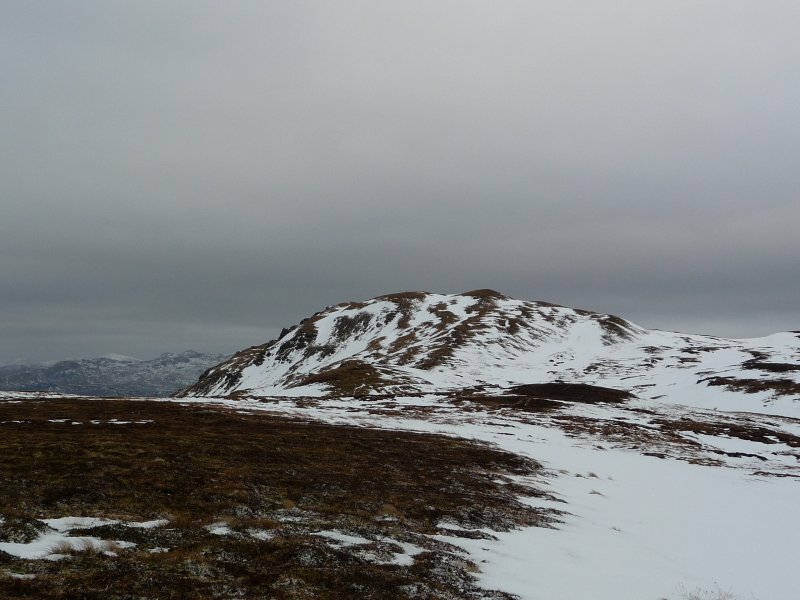 The summary information of one or more ascent routes that include Creag Uchdag. 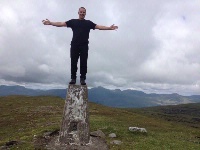 Myself at summit of Creag Uchdag with Lawers Group mountains in the background 14/06/2014. 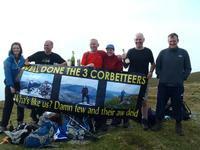 Post a few words about Creag Uchdag or read what others have had to say. Climbed on 5/4/09 from Ardeonaig. I could not see the mapped path on my ascent (apparently it goes through the farm) and so headed up Creag Liath. I followed the fence and its accompanying track, contoured round Meall nan Oighreag and over the many peat hags to the summit. A trickier hill than it appears, but a decent day out. On my return whilst passing the farm, the owner met me and gave me some beer and cake from the family-do that was taking place - much appreciated! Approached from the south after parking below the Lednock Dam, very pleasant walk along the loch to a circular sheep enclosure, then directly north all the way up, was lucky with a clear day, fabulous view of the North face of Ben Lui from this mountain.